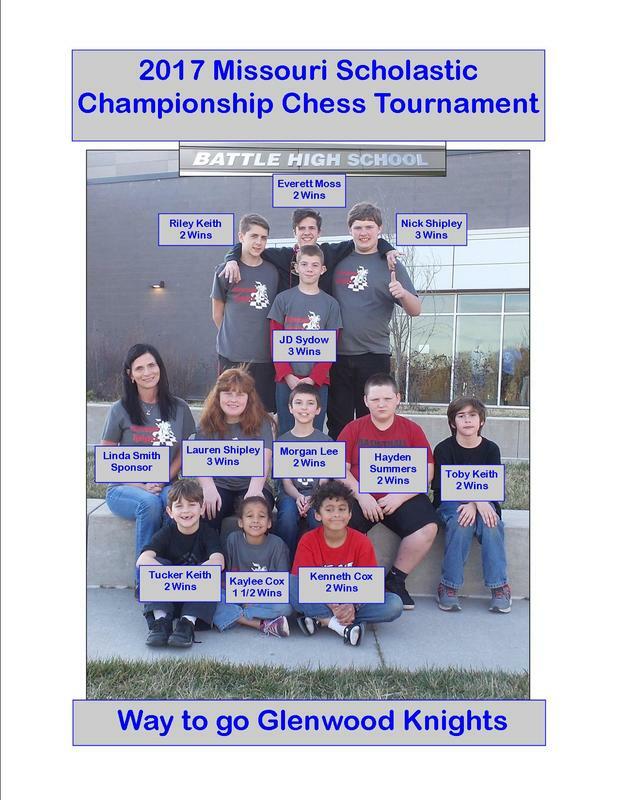 Eleven members of the GLENWOOD KNIGHTS chess team attended the 2017 Missouri Scholastic Championship Chess Tournament in Columbia, MO on March 18, 2017. This is a great opportunity for our students and one of the biggest multicultural events in the state of Missouri. It gives our students the opportunity to interact with young people from many different nationalities and this will be an experience that these students will remember for the rest of their lives. We are extremely proud of all of the students for having the courage to go and participate in this tournament, because they are playing some of the best chess players in the state of Missouri. We are pleased to say that every student that attended the state tournament came home with some wins. This is a major accomplishment. We are all extremely proud of how the students performed and we look forward to taking them back next year.